With the growing world of technology and apps, weddings can be more confusing to plan due to the bride searching endless hours on Pinterest for ideas. A friend of mine is an amazing, talented artist and is a one stop shop for all your wedding sign needs. Her shop From Kelly With Love can be found on Etsy. She has tons of different wedding items and I’ll break down some of my favorites by ceremony and reception. (Please click on the photo to go directly to the listing on Etsy to purchase). 2. Directional Sign: Some venues can be confusing to where the ceremony and reception take place. Get a fun direction sign so guests know exactly where everything will be. 3. Seating Sign: Ceremony seating can get confusing or if someone has a significant amount of people on their side it tends to feel uncomfortable for people to intermingle. This is a unity of two families joining together so why not have a sign to direct guests to side on either side? 5. Ring bearer signs: The kids are always the first “awe” moment before the bride. Why not spice it up and add that extra awe with one of these adorable signs! 8. Cake sign: Cake tables always need extra decor that many couples forget to add. Why not get a cute sign to display with your cake and cutting set for that nice additional touch! 9. Favor sign: Favors are such a wide range of what people do now and If you are setting up a table just for favors, make sure you have a sign to let your guests know that it is ok to take one. 10. Bar sign: Many people do not decorate the bars at their wedding so they just sit as is. Most of your guests though tend to spend most of their time getting drinks so by adding a fun little sign to it will be a nice touch. 11. Social Media Sign: As I stated in the beginning of this blog, social media is huge. It’s a great way to see what your wedding looked like from all your guests perspective. Create a hashtag and get a sign like this so your guests can provide you with amazing photos. 12. Table Numbers: These are perfect little rustic table numbers, something which most venues do not provide so why not get something cute that you can reuse in the future for things such as other parties or kids birthdays. 13. Food Signs: Each wedding may have certain food, candy, or treat stations. Add the rustic touch with one of these. 14. Chair signs: The bride and groom should stand out on their day. It’s a great touch having these shabby chic chair signs and perfect for photos. 15. Miscellaneous: Pinterest may drive you crazy at times but like I said Kelly does it all. Here are other really cute ideas to help out with your wedding sign needs. There are many different ideas that Kelly creates for weddings, home, and other events. If you don’t see them above, please check out her Etsy for many more beautiful ideas. Need help planning your wedding? Please contact me or visit our website and browse our website different packages! Standing up in someone’s wedding to many people means spending lots of money on dresses, shoes, hair, makeup, etc. We really seemed to lose touch in why bridesmaids and Maid of Honors are part of the wedding. I always get brides who say they can’t choose between people to have by their side. Well it’s simple, if you haven’t talked to someone in years, you probably do not want to have them in your wedding, even if you were in preschool together. People change over the years especially after their mid twenties so someone who shared all your secrets and interests when you were younger, may not have the same views today. 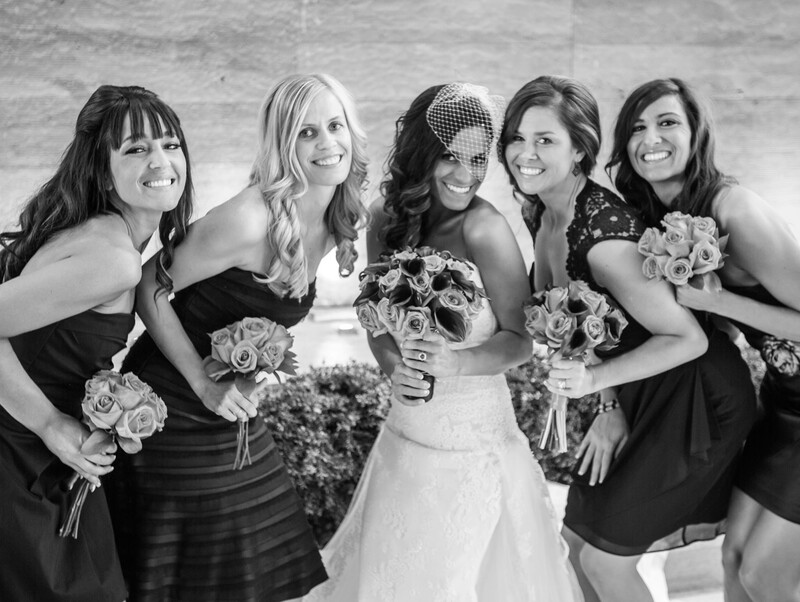 Here’s a list of ideas to think about when choosing your bridesmaids. 1. 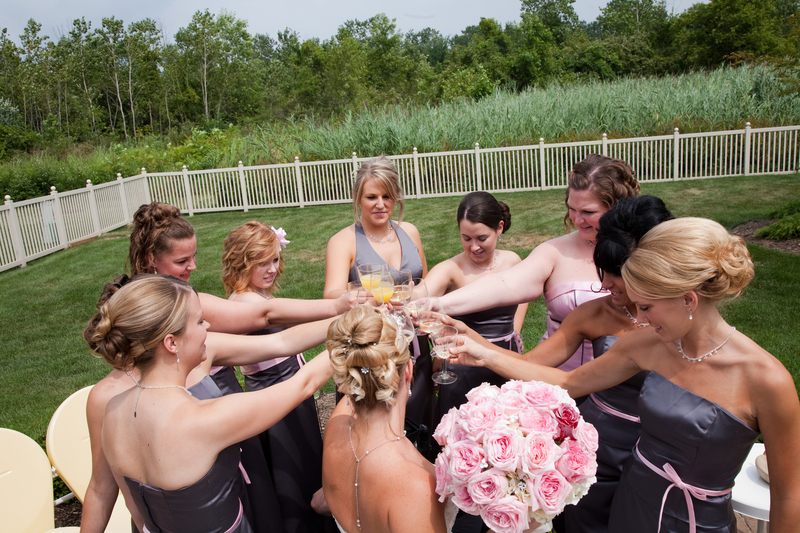 Choose someone that puts you first- This by far the most important characteristic in a bridesmaid. You need someone that isn’t negative and doesn’t complain about how much they are spending. You want someone that is just as loving and caring to you as the day you met them. Someone who even if they hate the bridesmaid dress, colors of your wedding, or the location of you wedding will say how much they love and adore everything. Negativity is the most important thing to keep out of your sight. By choosing someone that is negative will only eventually cause problems for you but can also affect your relationship to your fiancé. I have seen too many brides stress out for months before their wedding until the day of by choosing Miss Negative Nancy to stand up. 2. Someone who supports your relationship- I see this all the time, Girls are always in competition with each other no matter how close they are. If you have a friend who always talks poorly of your fiancé or doesn’t see how you two will end up with each other then you must not have her in your wedding. In fact, you shouldn’t even have them at your wedding or in your life anymore. It is important to keep those who care not only about you but also your future spouse. 3. Carefree friend- Another very important quality in a bridesmaid is someone who doesn’t care what you are serving for food. Someone who loves house wine and house liquor. You don’t want someone telling you that you need to have what “they like” in order for them to be part of your wedding. Always remember, it is YOUR wedding and it’s between you and your fiancé on choosing the options for your day. You don’t need to listen to bickering snobs about what they think makes your wedding perfect. 4. Someone who will help- Lots of details go into wedding planning and of course this is why I have my job. I love wedding planning and if you need a planner you can definitely count on me. However, if you can’t afford a planner or think you do not need one, you definitely need bridesmaids to be by your side throughout everything. There’s many events that lead up to a wedding which the bride and groom should have minimal planning in. This is what they bridesmaids are for. Think of your closest and most creative friends and how they can help you with planning all of these events. There’s the engagement party, bridal shower, bachelor/bachelorette parties, and rehearsal dinner. Some of these things of course your parents will help plan but you want bridesmaids to bring the new, modern “Pinterest” ideas to your events. 5. Choose someone who can afford it- We all know weddings are pricey but the same goes for someone standing up in a wedding. From dresses to shoes, to hair and makeup, to travel expenses, make sure you choose someone that can afford it. Your friends that you feel like you are leaving out will not be hurt if they can’t afford it. In some cases, it is better to not ask and make them feel embarrassed to decline because of costs. Choosing maids can be difficult but honestly my main thing is this, think of those who you speak to daily whether they are next door or thousands of miles away. This idea is similar to hiring someone for a job. They need to be by your side and help with whatever you need. Everyone thinks they will hurt someone and from time to time it happens. Honestly most people who are chosen clearly are honored to take part in the wedding but there are others that do feel like they lucked out by saving money and only being a guest. It can be expensive to take part in a wedding so don’t feel like leaving someone out is a bad thing. Here’s a little bit in choosing a Maid/Matron of Honor. The main reasons why you have a maid of honor is for support, keeping everyone together, and being there when you need her. By choosing a Maid of Honor that you are close with now (not 20 years ago), they understand your style, vision, expectations, and YOU! it’s similar to what I said above, this person just has a little more responsibility. I’m pretty sure after all those years your vision of marrying someone from N’SYNC and having your wedding at your gorgeous mansion or on a secret island isn’t really how your wedding is playing out. You need someone that knows you well today and can be there for you when you need advice. She also needs to support you with a positive attitude so if they are a super opinionated friend, tell them you love them but they can be a bridesmaid or guest. You get enough unwelcome opinions from in laws and family that you don’t need your number one go to support system to give you more unnecessary advice. You want someone who when you choose a bridesmaid dress that may not be flattering or her style will tell you how much she loves it and tell your other bridesmaids they love it too. When you get a call from you in laws telling you they just invited another 20 people neither you or your fiancé has met but you are the ones paying for your “intimate” wedding, she’s there for you and would even go out of her way to let your family know it’s not about them that it is your wedding day. This is the support system you need. A perfect Maid of honor. For more wedding advice or to hire a wedding planner, please contact me at (248) 836-8605 or through email at desi@desirableevent.com. Happy Bridal Party choosing!